Before the behavioral huns overran the party, the biggest thorn in the side of the big-tent moderates who used to run the Republican Party were the “true” conservatives. Or to put it another way, even if the people who run what remains of the party and the more powerful and numerous hired guns who are running the entrepreneurial conservatives’ campaigns are struck by lightning and realize that abortion, gay rights, and gun rights are not partisan issues, the activists have to cope with the anti-tax/regulation/government anarchists. They don’t call themselves that, of course, since the name brings to mind the Fabians, Karl Marx, and other anti-government European radicals. They call themselves libertarians or, if that’s too political, simply Adam Smith free marketers even though Adam Smith would probably excommunicate them. They are to some extent the heirs of the perpetrators of the Boston Tea Party group run amok. They are consistently anti-tax. Their other basic premise is that no government body can run anything, or run anything well. The other side of this coin is that the free market private sector can run everything and run everything efficiently. An idea they hold to for dear life unaware that that it has been somewhat tarnished by missteps in several areas and places recently. They are playing a leading role in the current health care debate as they did in the same debate in the late 1940s. They won then by stopping Harry Truman’s “socialization” proposal modeled on what Clement Attlee’s Laborites enacted in Great Britain. My own experience with their single-mindedness dates to 1966. 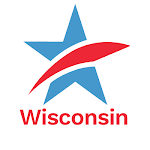 The Republican anarchists whose center seemed to be the Milwaukee area’s North Shore Republican Club wanted the Party Convention to condemn the party’s activist governor Warren Knowles because he raised taxes to keep the state operating after his 13,000-vote victory in 1964. The party activists who then and now want a government that doesn’t dominate but does work rejected this idea, and the anarchists who really wanted the government to go away. The Democrats, I am told, have their own internecine ideological battles on issues that someone from that party will have to explain to me. I think it is between their moderates and the all-government-all-the-time gang. Political fortunes rise and fall for a lot of reasons, but one adage persisits: Partisans want issues that inflame. Most of the rest of the people want a government that works. This is something for those who seek electoral success to keep in mind. Anarchy in the GOPTweet this!